Redundancy doesn’t have to have a catastrophic effect on your finances. Insurance options are available which will help you contain the damage and tide you over until you find a new job. If you have debt, whether in the form of loans, credit cards or a mortgage, insurance is available to cover the payments you make on it in case you are made redundant. 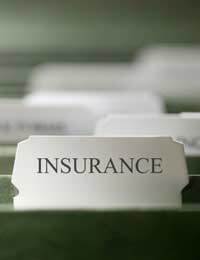 This insurance goes under a variety of names but is most commonly known as PPI or Payment Protection Insurance. PPI has acquired rather a bad rap in recent years. Critics claim it is expensive for what it offers, difficult to claim on, and widely mis-sold. In many cases, this criticism is entirely justified, although there are also circumstances in which PPI might be a good deal : when the country – or the world – enters a period of prolonged economic difficulty, for example. It’s important to understand, though, that PPI isn’t the only option available to protect you from the economic ravages of redundancy. Another is Income Protection Insurance. Income Protection Insurance, although superficially similar to PPI, protects your income rather than your debt repayments. It is paid directly to you rather than to the companies you owe money. In fact, you will still get the benefit of it even if you have no debt at all.Income protection policies normally pay out a proportion of your normal employment income, usually 50%. There is often an upper limit on monthly payments of something like £1000 per month. For this level of cover you can expect to pay around thirty something pound per month, often with accident and sickness cover thrown in. It’s important to understand that income protection policies are nearly always invalidated if you know, or have reason to believe, that you will be made redundant in the near future. In addition, policies will usually not pay out on a redundancy which occurs shortly after you took out the policy. For example, a three month minimum period is common. You will also usually have to have been in uninterrupted full-time employment for a period of 6 months to one year before taking out the policy. After you claim on the policy, it will usually not begin to pay out for a month or two. Immediate pay-out options are available but their premiums are often steeply higher. It’s also very important to understand that income protection policies will only pay out in cases of involuntary redundancy. So if your employer puts a tempting voluntary redundancy package on the table, taking it will mean you lose eligibility for the insurance you’ve already paid for. Does Insurance Against Redundancy Make Economic Sense? It’s important to think about whether income insurance, and the protection against redundancy it offers, makes financial sense for you. Generalisations about this are impossible. It really depends on your own assessment of the likelihood that you will become unemployed in the years ahead and of how long that unemployment is likely to last. Clearly this depends on the demand that exists for your professional skills and on the vibrancy of the industry you work in. Bear in mind, though, that income protection insurance, like PPI, isn’t always good value. The obvious alternative to it is simply storing the money away yourself in a high interest savings account. If you only have one extended period of unemployment in, say, a stretch of 10 or 15 years, income protection insurance probably isn’t going to give you any financial advantage over just having saved the money yourself. And, of course, if you save the money on your own, you will have access to it whether you become unemployed or not. If you are made redundant, you may want to take your employer to an Employment Tribunal to dispute some aspect of the way the redundancy was handled. This can be an expensive business. For this reason, you should consider taking out Legal Expenses insurance in advance. This will cover your costs at an Employment Tribunal. Legal Expenses insurance is often offered as an extra option on car or home insurance policies and is available on a standalone basis too. When an economic whirlwind hits, no one’s job is completely secure. Insuring yourself against redundancy can help you survive it with your lifestyle intact. Just make sure you’re getting a good deal.